If you're anything like me- aka a last minute whirlwind- then it'll be midnight before you turn attention to the tattered manicure you need to sort out before your Christmas party the next day. Luckily when this happened to me two days ago I managed to avoid the botched paintjob complete with duvet prints by turning to Elegant Touch stick on nails instead. I used to be a big fan of the old falsies back in the day, but now I just like to save them for novelty occasions and nails don't get much more novel than this. 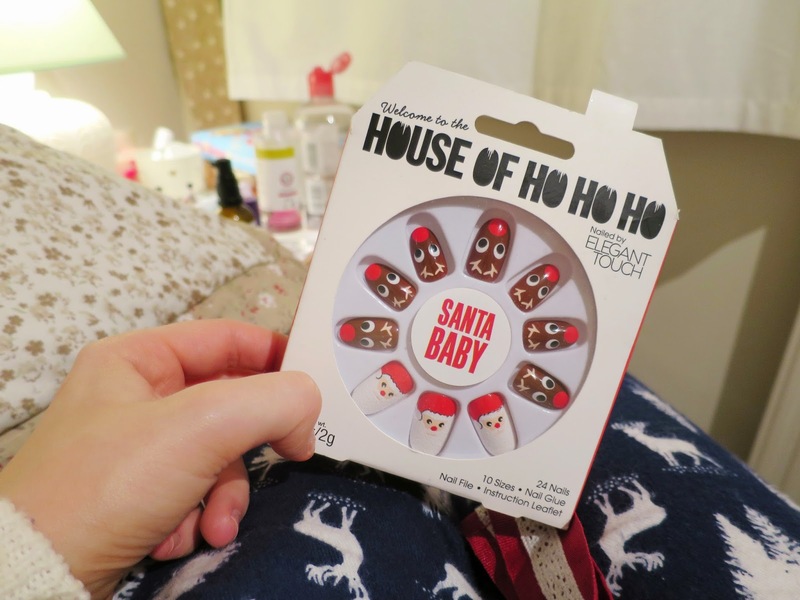 Elegant Touch's House of Holland 'Santa Baby' Stick Ons come complete with an assortment of cute reindeers and adorable santas to give your fingers the festive factor in literally five minutes. You simply remove any varnish residue, push down the cuticles, brush on the glue (don't ever rely on packet glue, buy the Elegant Touch brush on pot instead) and press down the nails until secure. I actually have the tiniest nail beds in history so always struggle to find false nails little enough, but this pack came with more than enough small sizes to see me through. You'll be pleased to know I got a whole lot of compliments at my Christmas party and all ten talons are still going strong even after tapping away on a keyboard all day. Festivity is at your fingertips! What nails will you be rocking this Christmas? Aww these are just too cute! 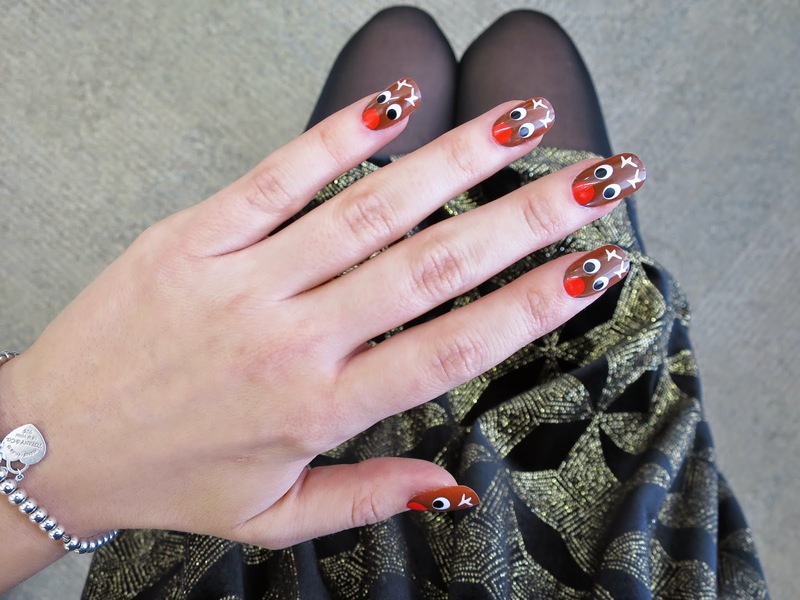 Those nails are adorable, so festive! haha. those are so cute :D I love it ! !